UK-born expats: who ended up where? 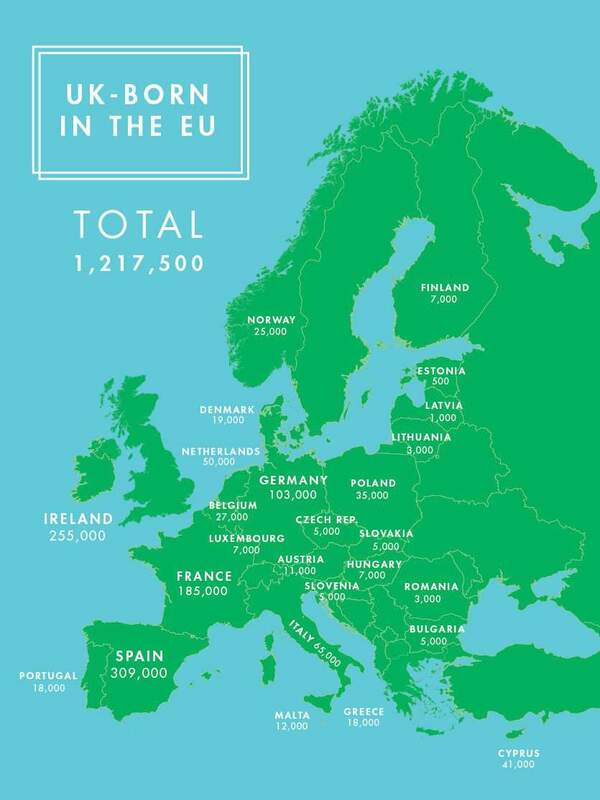 There are more than a million UK-born expats currently living in the EU. Renny Popoola takes a look at the “exchange rates” of people between countries and finds out who ended up where. It goes without saying that the outcome of the EU referendum on June, 23rd will matter to lots of people but perhaps none more so than the 1.2 million Brits who currently call one or other of the EU member states home. In the event of a Brexit, some are speculating that these UK nationals could wake up on June, 24th and find themselves ‘Brexpats’ – though no-one is quite sure what that would actually mean. Data published by ONS shows that the UKs EU expats are scattered across the continent and whilst the majority reside in old favourites like Spain, Ireland and France, there are more than 5,000 in each of the Czech Republic, Slovakia and Finland. Interestingly, the ‘human exchange’ with Finland nets out very neatly indeed; there are 7,000 Finland-born residents now living in the UK and 7,000 UK-born residents now living in Finland. Across the EU there are 4 countries where the number of UK-born expats currently living overseas is greater than the number of EU-born residents now living here, these are: Spain (-180,000), France (-8,000), Cyprus (-10,000) and Luxembourg (-6,000). Euro 2016: which coach represents best value for money?